Financial advisor marketing is an interesting and challenging field. Wealth management firms must stand out among their peers, and maintain their branding. And, financial advisor marketing is essential for wealth management firms to reach and grow their customer base. Fortunately, you can build upon multiple financial advisor marketing strategies and execute them across financial advisor niches in a hyper-competitive and fast-paced field. Consider the tips below as you consider your financial advisor marketing plan. Here are several financial advisor marketing strategies to keep in mind as you craft your financial advisor marketing plan. 1 – Remain hyper-focused in your messaging. Are there new trends to capitalize on? Stay apprised of the news and provide valuable SEO-driven content that helps your brand be at the forefront of the conversation. Remain factual and maintain your authority in your content and omit bias or subjective phrases. Consider creating a short video tailored to that specific topic and include individuals who have clout about the subject. Share your content on social media and engage with clients as well as potential customers rather than sending content out without any purpose. You can control the conversation this way and responsiveness helps build trust in your brand as well. 2 – Make an emotional connection. Why is money important to your client? Are they saving for a new house, college tuition, or retirement? Make them think of what their personal “why” is and help them see how it aligns with the “why” of your brand. When you understand your client’s situation, you can provide better marketing to them, and then serve their short- and long-term needs. 3 – Engage with the client. The approach should not be about making the immediate sale, but rather about the engagement with your brand and the long-term relationship. As a client navigates your site encourage to spend more time navigating each page, and even offer a chat feature with a customer service representative to help guide the visitor to the appropriate page. Encourage them to sign up for a newsletter or contact you via phone or email. A strong call to action will prompt them to engage you to learn more. 4 – Communicate with each demographic in a way they understand. Millennials are more likely to use a mobile device for their financial services. Nearly 50 percent of those under the age of 40 are considering new financial services advisors but may not know how or where to start. Instagram or YouTube can provide you with a great platform for visibility. And, those 55 years of age and older are joining Facebook at the highest rate of any age group. So, if you are a wealth management firm focused on a retirees, consider Facebook ads that encourage engagement. Finally, marketing event ideas for financial advisors include local seminars and open forums where each level of investor or potential client can ask questions in a room with their contemporaries. Why Do You Need Financial Advisor Marketing Strategies? 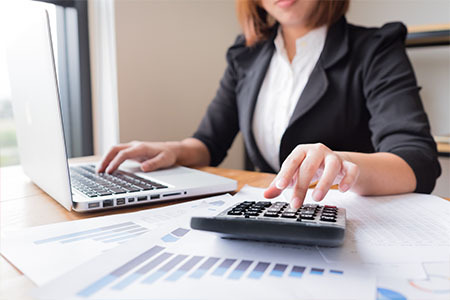 Just like financial advisors need a strategy in order to bring returns for their client, each financial advisor niche needs a strategy that appeals to its target audience. For example, those selling mutual funds are more likely to see success in reaching those people who are considering retirement and want a less risky investment portfolio. Financial advisor marketing strategies can help expose your business to more people. Hiring a marketing specialist that can drive a financial advisor marketing strategies forward, while being cognizant of FINRA advertising rules, is a solid first step to ensure that your firm is standing out. A seasoned firm like Paradigm Marketing and Design can assist you with this. Call us today to discuss your financial advisor marketing strategy.